In my last blog, I explained how supportive and disability confident line management is a key priority for disabled colleagues. 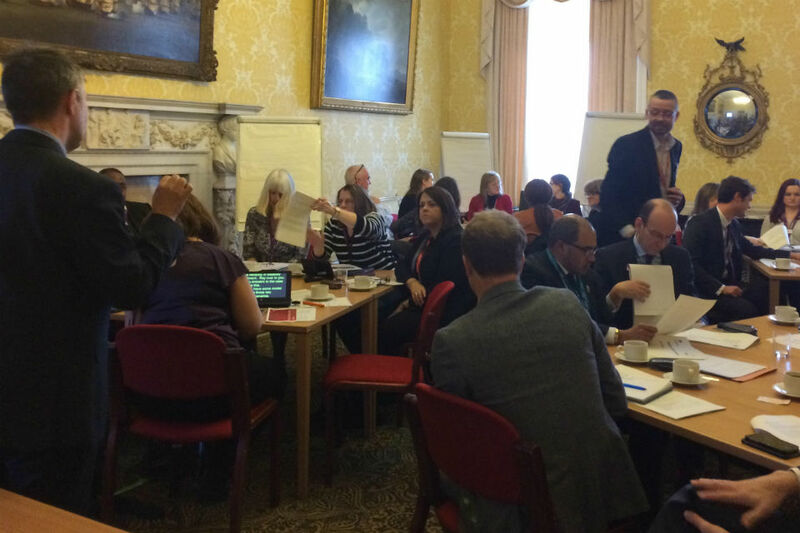 And I encouraged line managers to complete the new disability confident learning. But it’s not just for line managers of disabled colleagues. All line managers can benefit from being disability confident. Disability confidence is about demonstrating core leadership skills and behaviours that are equally applicable to managing non-disabled colleagues. I would like to highlight three key leadership behaviours. Firstly, a disability confident manager demonstrates and champions inclusion. They will reflect on their leadership style and working practices to ensure that these are fully inclusive of everyone. They will be approachable and comfortable in initiating open, honest and sensitive conversations. And they will have no preconceptions about the abilities of disabled staff, offering them stretching work, career development moves, and putting them forward for promotion and talent programmes in the same way as their peers. 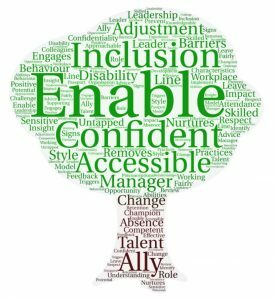 Disability confident managers will apply inclusive principles to change management, considering the impact of proposed organisational changes – such as the introduction of new IT/working practices – on disabled colleagues. They are widely recognised as role models and champions of inclusion, challenging inappropriate behaviour towards colleagues, including tackling bullying, harassment and discrimination. Secondly, disability confident managers understand that sometimes, to create a level playing field, you have to treat people differently and to consider the need for individual workplace adjustments. They will know where to access advice about identifying, implementing and reviewing workplace adjustments to enable disabled employees to work effectively and realise their full potential. And they will offer to document approved adjustments on a workplace adjustment passport, to enable seamless retention on a change of line manager/job role, or to move between departments, agencies and external organisations. 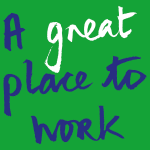 Thirdly, they will be competent and knowledgeable in attendance management and in supporting staff to return to work. They will identify and act on signs or triggers that may prevent extended sick leave and know how to distinguish between disability related absence and sickness absence. I have formed these thoughts by engaging with disabled colleagues. I would welcome colleagues’ views on whether these resonate with you or whether you feel that there are important omissions. Please post your comments below or contact me at disability.champion@dft.gsi.gov.uk. Finally, I would like to draw your attention to an excellent article in the latest edition of Civil Service World, which contains personal stories from disabled colleagues on the barriers that they faced. In reading this you may wish to reflect on how the ‘3 Cs’ model chimes with their observations. A good article. I am so pleased that something is finally happening with regards to managing and supporting people with disabilities - especially invisible ones. Unfortunately it has come about 15 years too late for me and there is still a long way to go in some places, but it is going in the right direction. Liz, thanks for your positive comments about the blog. It is good to know that you share my views on the importance of supporting colleagues with disabilities, especially those with non-visible disabilities. I agree that we still have much to do in this space and I am sorry that you feel that the actions we are taking have come too late for you personally. The only downside to all this is that the Disability Confident Learning that is mentioned, now costs £55 per person. While I appreciate that funding is under pressure, the effect of charging for courses like this is only going to be that fewer managers will undertake it - and when "all line managers can benefit from being disability confident" (not to mention staff without line management responsibility but who may be involved in HR, communications, recruitment, etc), is there really a case to place any restriction on such courses? Would it not be an excellent idea to make courses such as this free on CSL - removing a barrier so that everyone can benefit from them? Stuart, I note your point that the new learning charging arrangements may be a barrier to some colleagues accessing learning, such as the new Becoming Disability Confident learning offer. We are aware of this and have persuaded CSL (Civil Service Learning) and KPMG to make some of the learning resources, such as the new Disability Confident learning videos, non-chargeable. We are monitoring take-up of the new Disability Confident learning offer and will revisit this, should there be evidence that the new chargeable arrangements are preventing individuals from accessing the learning. Hello, I agree with your thoughts on this. I do think that the three Cs apply whether it involves someone with a disabilty or not. Perhaps sometimes people see line managing someone with a disability as needing to do something different - that shouldn't be the case. As someone with a disability, albeit hidden to an extent, I'd love to see the civil service getting to a point where the three Cs are the norm. Graham, you are absolutely right that the line managers behaviours highlighted in the three Cs are generic line management skills that are applicable to line managing any member of staff, regardless of whether or not they are disabled. I share your vision of a truly inclusive Civil Service in which application of the three Cs model is the norm. As a civil servant with several hidden but significant disabilities and who has suffered blatant discrimination in the past I welcome initiatives to provide a level playing field for all staff. Colin, thanks for your support. I am sorry that you have personally experienced blatant discrimination in the past and hope that the work that we are undertaking will prevent others from experiencing this type of unacceptable behaviour in the future. Thank you Philip for a fantastic piece. I was very fortunate to attend the Building Line Manager Disability Confidence Roundtable event and found the presentations by the Land Registry, Fujitsu and ENEI extremely useful and confirmation of what can be achieved if we all work together. As a member of the FCO Staff Association: The Wellbeing Network, I was extremely pleased to hear about the work that had been undertaken to improve both the awareness and understanding about Mental Health. Gavin, thanks for your helpful comments. I am pleased that you found the joint ENEI Building Line Manager Disability Confidence event useful. We recently ran a joint Business Disability Forum, Building a high impact Role Model Strategy, roundtable event, and have plans to run further events in the coming year. In regard to mental health, we are planning to run a joint event with KPMG in Manchester on 12 May, to coincide with Mental Health Awareness Week. 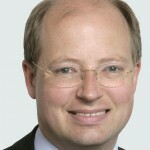 "And they will have no preconceptions about the abilities of disabled staff" is a splendid ideal, but the (ostensibly free) Unconscious Bias training reminds us that we can never with 100% certainty say we are free of preconceptions, and to do so would indicate a requirement for a spot of self awareness development. Alistair, you make a good point that we all have unconscious biases and need to develop greater self-awareness and checking mechanisms. I strongly believe, however, that a basic foundation of disability inclusion for all managers is to have no preconceptions on the abilities of disabled colleagues. Paul, thanks for your comments. You are absolutely right that inclusive working practices extend beyond individual immediate line managers to senior managers, policy owners implementing new policies and vacancy holders defining job roles. It is important that we constantly question elements of job roles deemed essential to ensure that this is the case and that we are not excluding particular groups of people. As I'm a member of several disability and carer's rights online groups, could you confirm if it is allowed to quote from, or link non-Civil Service readers directly to this blog? This blog is publicly available, so you are perfectly free to link others to it. If you plan to quote from it, could we ask you also to include the link to the full post. It is a very nice ideal but bears no resemblance to the reality that actually exists. new attendance management trigger points and the failure of managers to discount anything more than 5 days a year disability related sickness absence have to be dealt with before you start addressing the ideal. Forget the ideal and deal with the reality and the evidence. It has been clear for a number of years that the PMR process fundamentally disadvantaged disabled individuals and all the outturn data showed this consistently and still departments continued with the program despite knowing this. Sorry for being negative to your article. I respect that you want to improve the working life of disabled individuals but we need to start from the base of reality. no matter how many blogs are written to support the rights of disabled colleagues nothing will change until you address the discriminatory policies in all government departments. John, thanks for your comments and for providing realism on what it is like at ground level. I consciously included attendance management in the three Cs model, as I am often told by disabled colleagues that this is an area where we need to build greater line manager capability. We need to get better in the application of attendance management policies to support our people to remain at work or return to work sooner, by keeping in touch and offering suitable interventions, such as workplace adjustments and flexible working arrangements. I know that this may not reflect the current reality for some people but we need to set out our intention to do better and start somewhere. Helen, thanks for sharing your concerns. If we can persuade others to adopt the three Cs model as standard practice it would mean that policy owners or estates managers will complete an equality impact analysis as standard practice, prior to implementing new policies or decisions such as changes to estates. They may still decide for sound business reasons to implement the decision, but this will ensure that appropriate mitigation actions are taken to ensure that no one is adversely impacted. Unfortunately the reality of the situation is that we currently have an attendance management policy that does a complete disservice to disabled People. I am a PCS rep. I witness on a regular basis how disabled People are being put on formal procedures simply because of their disability. I witness line managers to afraid to use their own discretion. I see a formal policy, the very wording of is made to make the sick person feel like they have done something wrong. It is a human right to be ill without being threatened with losing their livelihood. Being ill is part of the Human condition. Unfortunately words do not equal action. We should get rid of this policy and have the courage to tell Government that we will not allow a lack of resources to mean we give up on our most vulnerable members. Chris, thanks for your insight and observations. I also receive feedback from disabled colleagues concerning attendance management. However, the issue is invariably about application of the policy by line managers, rather than the policy itself, which is there to prevent colleagues having to unnecessarily go off work sick and to support colleagues to return to work. There is scope within the policy for line manager discretion and we need to build line manager confidence through initiatives such as the three Cs model to apply this. Hi Philip as someone who has just returned from 5 1/2 months sick absence due to Depression caused by significant Bullying, Harassment & Disability Discrimination I'm still trying to convince my senior managers Directors & Director General, he has the same portfolio as you on disability & diversity, yet despite my sharing my experiences no one has yet accepted responsibility or even apologised. I've been a civil servant for 36+ years, inc. 18 fantastic months in Dept. Transport and I can honestly say it's great that this programme of learning is available and I support my fellow colleagues when they say charging for this will only put managers off. In my experience some senior managers simply treat these as a tick box exercise, and ultimately nothing will ever change no matter how many diversity disability & inclusion groups are involved. I offered to share my experiences & recovery from depression I'm still waiting, but I wont hold my breath, it's just a tick box world for us at grass roots level. Dave, thanks for sharing your experiences. I am sorry to hear that you do not feel that you have been listened to and that senior managers are applying a tick-box approach. I have commented on the new charging arrangements in my response to Stuart [above]. We have a joint KPMG/Civil Service event on mental health coming up on 12 May in Manchester. I would be very happy for you to attend this event and to share your insights. If you would like to take up this offer, please email disability.inclusion@cabinetoffice.gov.uk. At my Attendance meeting (I've never had any disability sick leave); my support colleague was appalled as guidance quoted lacked tact i.e. manager's statement that only a court of law can determine if I'm disabled wasn't considerate. For a recent medical appointment I didn't ask for medical/DAL time to be given, annual leave which was only granted after haggling for it. In my team we are treated without sympathy. Enquiring for more stretching work the comment, 'Well get promotion then', lacked sensitivity and help to improve. Team Charter/Diversity & equality policy - 'Respecting colleagues/treat them as you would like to treated yourself', aren't used. VOA have had a PMR process without Markings, Mid/EOY discussions & no Validation meetings; HMRC's remained same except for distributed guidance removal, I don't feel heartened by this i.e. as I've had disability used against me. Jane, I am sorry to hear about your experiences. You have reaffirmed my view that we need to improve line manager confidence and capability in the application of attendance management policies. You mention HMRC’s approach to performance management. I can put you in contact with HMRC’s Disability Champion if you wish to share your experiences and insights. Please contact me via disability.inclusion@cabinetoffice.gov.uk if you wish to take up this offer. It's excellent that you are raising this and championing raising manager's awareness of disability issues in the Civil Service. I don't mean to be negative, but I wish to raise a couple of points, I work in HMRC and there the 3Cs mean something very different, they are part of continuous improvement (AKA Pacesetter)and stand for Concern Cause and Countermeasure, I'm sure many of my HMRC colleagues would like me at first have thought this was part of a continuous improvement initiative and misunderstood what you were saying. It would have been better if you had called it something else, rather than using an acronym that is well known and used as part of continuous improvement tools for reporting a concern. You also say you need to be able to distinguish between disability related absence and sickness absence. For us there is no disability related absence anymore, just an increase in the consideration points and how and when you allow this is very prescriptive. There is disability adjustment leave for treatment etc, but the disability related sickness absence was done away with last year with HMRC new attendance management guidance. As a manager and someone with a disability I find the discretion I once had to support my disabled staff badly eroded. There are some great comments about disability support see my experience above. HMRC is failing its people with disabilities in favour of results. Sue, thanks for your comments. We are planning to engage with staff for their ideas on how we can build line manager disability confidence at the forthcoming Civil Service Live events. 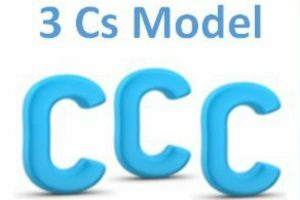 The three Cs model is merely a 'starter for ten', and hopefully we can develop this further, or come up with another model that will work better for HMRC staff. You mention that you feel that HMRC’s new attendance management guidance has removed line manager discretion. I can connect you with HMRCs Disability Champion to discuss this further. Please email me via disability.inclusion@cabinetoffice.gov.uk if you would like me to arrange this. Diversity in the workplace to include that of staff with disabilities is something I am very passionate about. I am a disabled civil servant, having two disabilities I live with daily which I manage effectively. The three C's which a line manager should display is encouraging and I hope that every manager and all staff are able to display these behaviours eventually. Disabled people have a lot of talent and it is often unrecognised due to their disabilities of their true potential. These behaviours will hopefully encourage those with disabilities to develop themselves just like anyone else. However, there are some qualities I feel that are also important to promote inclusion and understanding of staff with disabilities. These are trust and willingness from a line manager to learn more on a member of staffs disability to help their understanding and to help them recognise suitable support and reasonable adjustments for those individuals affected. From experience, lack of understanding of a medical condition/disability is a huge factor. I feel that if any line manager has a member of staff with a disability then they should be proactive and seek information on that disability to help them understand. I also think having disability champions in each department would be a good way to channel the type of behaviours expected from all staff as sometimes there is a lot of unconscious bias. The more awareness, the more educated people can become which is also the key to managing staff attendance effectively. I also think that in staff objectives the values of diversity need to be more specific. For example, if a manager has a staff member with a disability can't it be in their objectives to highlight their responsibilities? I also think that the csl course - disability awareness is a very useful tool for all staff which we can all learn from. Recently, the transgender training was made mandatory, can the course disability awareness on csl also be made mandatory, it is an online course which is free so the only cost would be staff time. I think it is an important learning session to help all staff recognise different disabilities. There is so much more we can all do to ensure workplaces are more disability confident. This is a subject I am very passionate about. Leanne, thanks for your helpful and insightful comments. You make some good points about the need for line managers to build trust and demonstrate a willingness to support and learn more about a colleague’s disability to increase their understanding. You also raise interesting points about building diversity requirements into key work objectives and making Disability Awareness learning mandatory, which I will feed into future conversations with my two key governance groups: Disability Champions Group and Disability Expert Advisors Panel. This is an excellent idea. And this should be compulsory training for all line managers. And subject to a yearly review. My only concern is as someone has already pointed out is the costing of the course. Such a fundamental course and basic management skill should be done for free.